Daveswordsofwisdom.com: When someone comes into your life. When someone comes into your life. 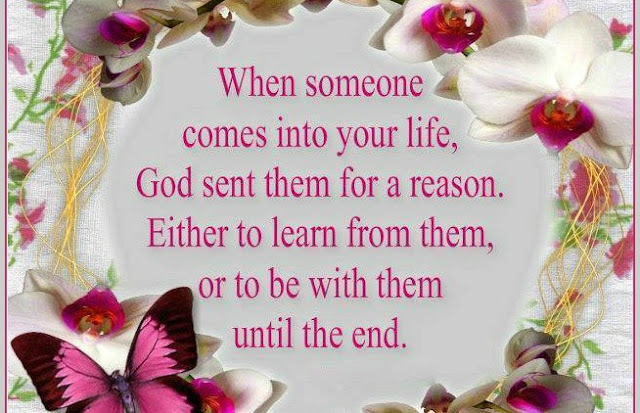 When someone comes into your life, God sent them for a reason. Either to learn from them or to be with them until the end.